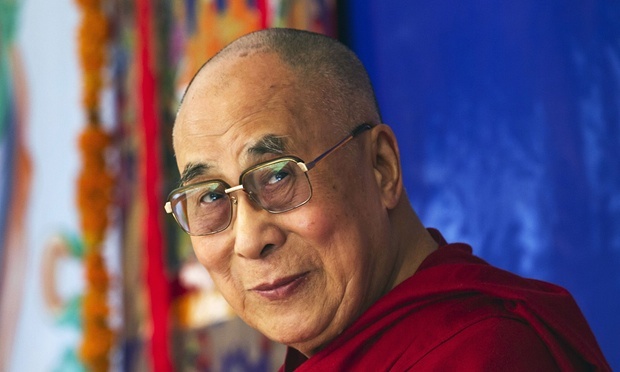 (TibetanReview.net, May11, 2016) – The Dalai Lama has said May 9 that his reincarnation is purely a religious matter whereas China meddles in the issue to claim authority to decide his reincarnation purely for political reasons. The exile Tibetan spiritual leader made his remark during a media interview while visiting Japan’s second largest city of Osaka to give religious teachings. Then emphasizing the point that the institution of the Dalai Lama was not indispensable for the sustenance and advancement of the Tibetan Buddhist culture, he said the teachings of Lord Buddha and other ancient Indian masters had flourished even without the institution of reincarnation. The Dalai Lama also said the middle way approach of seeking autonomy for Tibet, not independence, was the only realistic solution to resolve the Tibet issue in a mutually beneficial way. “In today’s interdependent world, countries cannot live in isolation without depending on others. As for Tibet, we have a huge land and a rich culture but we need China’s help to develop economically,” he said. About 2700 devotees from seven countries, including Taiwan, Korea and Mainland China, are attending religious teachings being given by the Dalai Lama at the Osaka International Convention Center over May 10-13.